On March 17, 1861, Italy was finally unified after many years of struggles. The [email protected] initiative encompasses a series of events organized to celebrate this 150th anniversary. 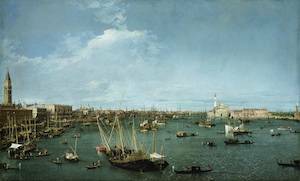 The exhibition “Venice: Canaletto and his rivals,” on view at the National Gallery of Art in Washington from February 20 to May 30, 2011, under the high patronage of the President of the Italian Republic, is among the first of these events. Curated by Canaletto expert Charles Beddington and coordinated by David Alan Brown, it will give the American public the occasion of admiring the most important names of the Venetian "Vedutismo". This artistic current reached its peak during the 18th century and is characterized by the portrayal of grand-scale, detailed landscape views of cities. Due to its charm and the amount of travelers visiting the city over the Grand Tour (the traditional trip around Europe that most of the young English upper-middle class used to embark on), a large number of vedute painters was active in Venice. It is not a coincidence that many Canalettos reside now in English galleries. The Maestro himself lived in England for nearly ten years, yielding the famous London vedute. Though he is the most renowned representative of vedutismo, Canaletto is just the tip of the iceberg. The peculiarity of the show is the fact that it gathers together many names of this current. 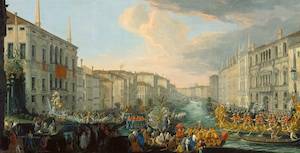 Juxtaposed to thirty Canalettos, there will be fifty works by other vedutisti such as Canalatto’s alleged teacher Carlevarijs, Canaletto’s pupil and nephew Bellotto, Guardi, a contender to Canaletto’s reign over vedutismo, and many others. This show is a truly unique opportunity to compare the different hands and the evolution of Vedutismo over the years, especially for the American public. 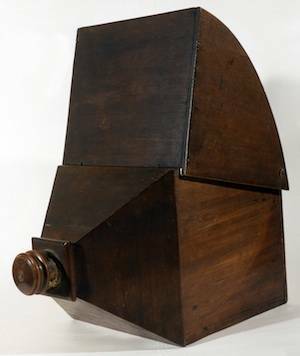 An interesting aspect of the work of the Vedutisti is that they were among the first painters to use scientific instruments for their art: in order to render with such a high degree of realism the views of the city, it is thought that they made use of the camera obscura, an optical device that allowed the painter to project and trace the landscape on their canvases. Two of such devices will be featured at the exhibit, alongside another example of fusion of art and science: a massive printed map of Venice, one of the first accurate topographical representation of the city, created by Ludovico Ughi using groundbreaking measuring tools and mathematics. 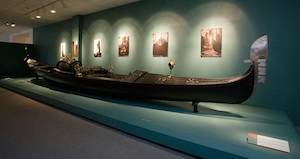 Furthermore, to virtually transport the visitors to Venice, the exhibition will feature one of the world’s oldest gondolas, a 35-foot-long craft which belonged to the American painter Thomas Moran. The Vedute may be considered one of the earliest examples of the growing trend of appreciating Italian products abroad, and as such an exhibition about them in the United States to celebrate the Unification of the Country is the most appropriate way to begin what Italians around the world should regard as a true Italian Year.